During World War II when all the men were fighting the war, most of the jobs that were left vacant because of their absence were filled in by women. 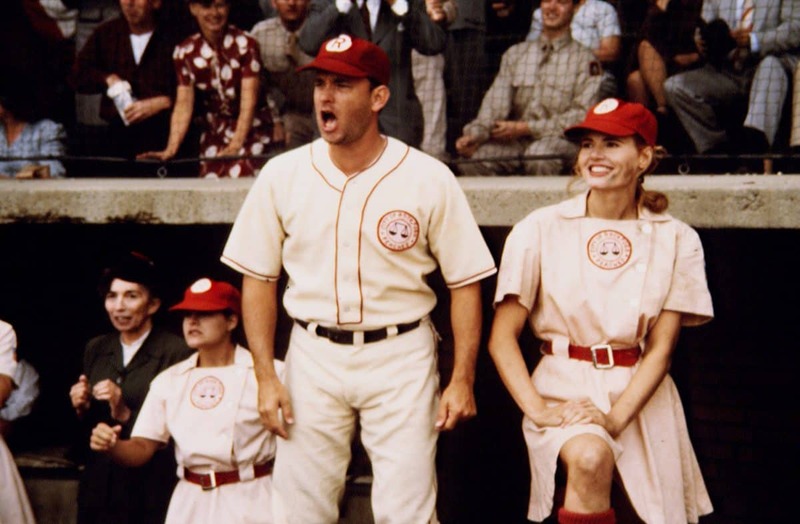 The owners of the baseball teams, not wanting baseball to be dormant indefinitely, decide to form teams with women. Two sisters (Davis and Petty) join the first female professional baseball league and struggle to help it succeed amidst their growing rivalry. This PG rated classic family comedy/drama stars Tom Hanks, Geena Davis, Lori Petty, and Madonna.